Secure a Sapporo Tanukikoji Shopping Street vacation package on Expedia right now! This is one of the best ways of saving time and money for your incredible adventure. Savings of up to C$590* are waiting for smart vacationers who book a package deal on Expedia. Our impressive database features more than 321,000 properties worldwide and 400 partner airlines. With such a great range of options, creating your dream vacation will be a breeze! Still undecided? There are no extra charges from us if you change almost any reservation. We have all the red hot sightseeing tips for your next trip to Sapporo Tanukikoji Shopping Street. Grab your organizer and get ready to start filling your itinerary. This area won't disappoint when it comes to interesting attractions. The Clock Tower and Odori Park are a few highlights that are just a stroll away. A lasting feature of the local skyline, Sapporo TV Tower is difficult to miss. Stand under it, cast your eyes upwards and admire this impressive historic structure. Visitors have a top-notch selection of things to do in this destination. Many major policies have been negotiated behind the doors of Former Hokkaido Government Office Building. Take it in from afar or up close on a tour or an open day. Still got some time to spare? You don't need to know your Da Vincis from your Michelangelos to enjoy Hokkaido Museum of Modern Art. It boasts a fascinating collection of exhibits that'll capture your interest and deepen your appreciation of art. 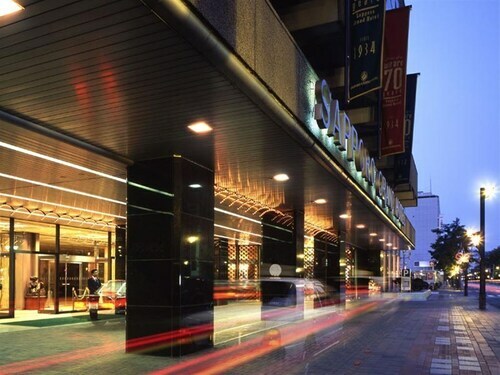 In Sapporo Tanukikoji Shopping Street, you'll discover no less than 91 Expedia accommodations. Book as soon as you're ready for the best cheap vacations and luxury getaways. Contemplating where to spend your evenings? Just keep in mind — cheap doesn't have to mean bed bugs and old linen! 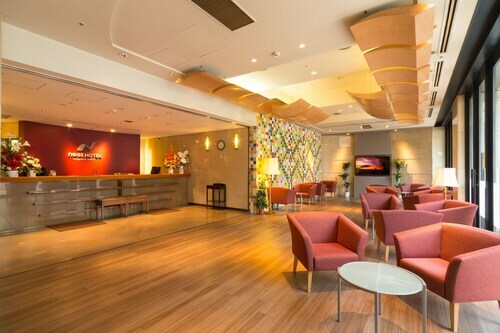 You'll find clean, low-price options like the PREMIER HOTEL -TSUBAKI- SAPPORO (1-1 Toyohira 4-Jo 1-Chome) and the Sapporo Inn NADA - Hostel (9-1016-14 Nishi, Minami 5-jo, Chuo-ku). Prefer to spoil yourself instead? 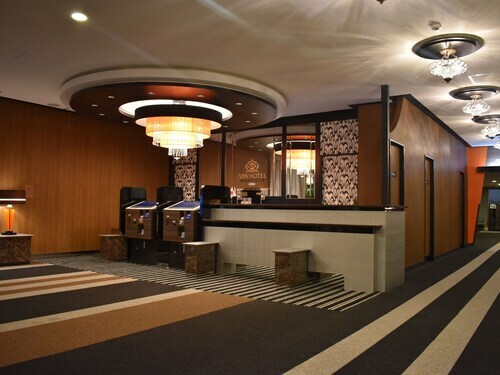 You'll be able to live the good life at the JR Tower Hotel Nikko Sapporo (Nishi 2, Kita 5, Chuo-ku) or the SAPPORO VIEW HOTEL OODORI KOUEN (Nishi 8-chome,Odori,Chuo-ku). The second that the plane lands at New Chitose Airport (CTS), you'll know your exciting trip to Sapporo Tanukikoji Shopping Street has started at last! Well, the center of the neighborhood is still about 25 miles (40 km) away, but near enough. Located in Sapporo City Centre, this romantic hotel is within a 5-minute walk of Former Hokkaido Government Office Building and Clock Tower. Odori Park and Sapporo Tanukikoji Shopping Street are also within 10 minutes. Odori Station is 5 minutes by foot and Sapporo Metro Station is 7 minutes. 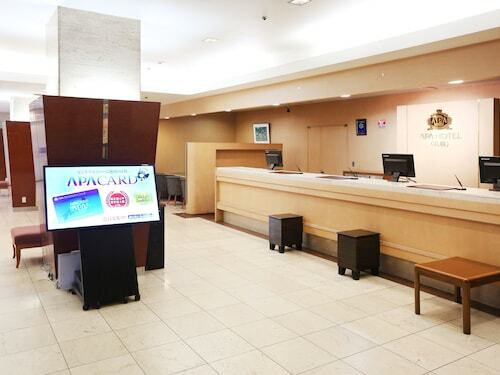 Located in Sapporo City Centre, this hotel is within a 5-minute walk of Sapporo Tanukikoji Shopping Street and Odori Park. Nijo Market and Clock Tower are also within 10 minutes. Odori Station is only a 5-minute walk and Susukino Station is 6 minutes. 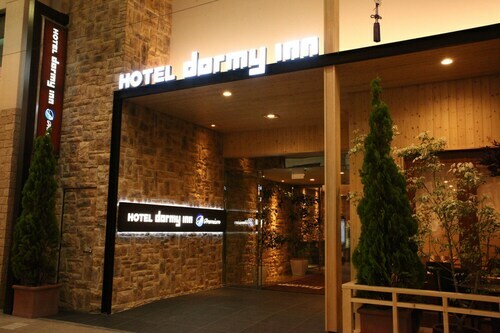 Located in Sapporo City Centre, this hotel is within a 5-minute walk of Sapporo Tanukikoji Shopping Street and Odori Park. Nijo Market and Former Hokkaido Government Office Building are also within 15 minutes. Susukino Station is 6 minutes by foot and Odori Station is 7 minutes. 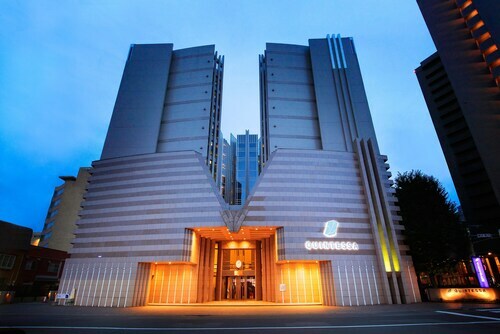 Located in Sapporo City Centre, this hotel is within a 10-minute walk of Sapporo Tanukikoji Shopping Street and Odori Park. Nakajima Park and Sapporo JR Tower are also within 1 mi (2 km). Susukino Station is only a 5-minute walk and Nakajima-koen Station is 11 minutes. This hotel is located in Sapporo (Sapporo City Centre), close to Hoheikan, Nakajima Park, and Sapporo Tanukikoji Shopping Street. Also nearby are Odori Park and Sapporo JR Tower.